Looking to waste a little time on the Internet today? (Of course you are.) 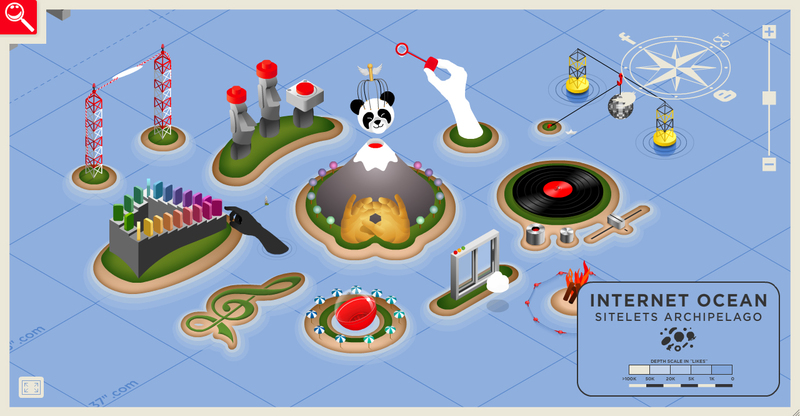 Take a trip over to Coca-Cola's Happiness Islands, a friendly little "sitelets archipelago" in the vast Internet ocean. Each island leads to its own breezy diversion—like FallingDominoes.com, BlowingBubblesInTheSky.com and ABeachBonfire.com. The unassuming sitelets, created by Wieden + Kennedy in Amsterdam, add a little happiness to your day, in support of the marketer's broader brand promise. Amusingly, the site is set up like a real map. If you pull back to reveal the global view, it's clear that the Happiness Islands are located in the Web equivalent of where Hanks went down in Cast Away. Via Adverblog.